Sony has launched “Television Redefined”, an integrated advertising campaign designed to build awareness and understanding of IPTVs and build on Sony’s Qriocity streaming service for films, TV and music. 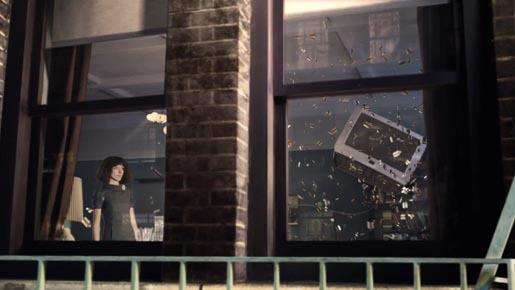 Sony teleports viewers through time reminiscing on years past through the spirit of technology. In 1960, when TVs were assumed to be large living room fixtures, Sony opened the door to personal television use. In 1968, Sony helped define the vibrant color TV viewing experience with Trinitron color TVs. Today, more than 40 years later, Sony continues to innovate with access to endless entertainment choices through the internet, 3DTV technology, and seamless search across the entire internet, TV and your DVR with Google TV features, and new designs featuring Gorilla Glass. The Television Redefined campaign was developed at by Grey London. Narrator is actor Christian Slater. Music is by UK dance act Magnetic Man.